We specialise in delivering behaviour change skills training. 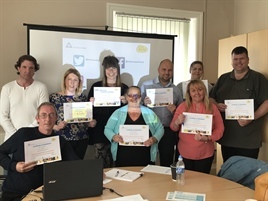 Our team of trainers apply their knowledge and experience of holding person centred, motivational conversations while working with people in the community. 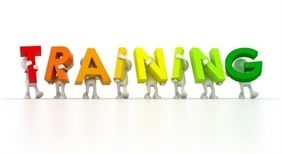 Our training is peer led, developed in the consultation room rather than the classroom. Over 90% of the people attending our programs rate them as good or excellent stating an appreciation of participants’ real-world challenges as a key point of difference. We are experienced in working collaboratively with partners, commissioners and customers living and working in difficult environments. We bring innovative training solutions to difficult problems. Pre-training engagement phase: This means that we engage with customers and target trainees to ensure delivery meets the desired outcomes. The modular training phase: Offering different levels e.g. Foundation, Intermediate and Advanced. Post training phase: This stage incorporates evaluation and support. We are able to develop bespoke packages that meet the precise requirements of the project. For more information on the range of training programmes we can offer please contact us on 0191 4329838 or email training@firstcontactclinical.co.uk to discuss your requirements.